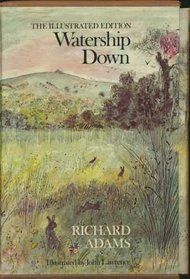 We continue “Watership Down” by Richard Adams. Will the rabbits make it safely across the river? We continue together “Watership Down” by Richard Adams as we begin Chapter 7. The rabbits have a scary encounter. If the gringa were to attend a NASA recruitment conference, she would be sitting front and center. When the question was asked who would like to work for NASA the gringa would be the first to raise her hand and wave it like a madwoman. When the next question was asked, which would most certainly have something to do with appropriate qualifications and credentials, the gringa would then have to shamefacedly shrink into the background. No prestigious college degree here. But do all of us science fans have to live a life of utter disappointment and complete disenfranchisement of being a contributor to the world’s bank of scientific studies? The gringa is happy to announce that, no, we science buffs who, for whatever reasons, never achieved the glory of a diploma can still participate. NASA has many “citizen scientist” programs from astronomy observances to laboratory inventions of innovative technology. Take your pick. And, if you happen to live in the northeastern United States, you can be a part of a program that monitors algae blooms that develop in Lake Erie. Your point of contact would be NASA’s senior scientist, Dr. Rafat Ansari. As the originator of the citizen science campaign, Ansari, along with airplane pilot Terry Schubert, work to mobilize citizen volunteers to monitor Lake Erie’s water quality as well as its coastline and conditions in related tributaries and waterways. The goal of the program is to alert the coastal communities surrounding Lake Erie of conditions that contribute to algae blooms when they are in the early stages of development. Who could be a citizen scientist and participate in scientific service to their community? Who, in particular, uses the data collected from the images? What’s the point? I mean, the gringa likes to look at cool pictures and read interesting facts and trivia, but how is the data actually useful? Why is a citizen scientist program preferred to the amazing technology of satellites in orbit? The real time factor is the main reason. It takes data about three days to travel from satellites to Earth. Then there is more time involved in disseminating the data into usable information. Citizen scientists in low flying aircraft and on the ground can provide usable information within hours. They can also obtain images at lower altitudes that escape the abilities of orbiting satellites. Volunteers can also reach areas in rivers and streams that are simply not on a satellites “radar”, so to speak. So, if you feel the need to contribute, this is a great opportunity. Even if you are not a pilot and don’t know any pilots to partner with, if you have a cellphone with photo capability, you are sufficiently equipped to engage. If you have snorkeling or scuba gear along with an underwater camera, that, too, is an angle of participation. For more information visit the NASA page for this program. Dear readers can take their time and read all the interesting information posted and then scroll down to the bottom for contact information to begin your new adventure as a citizen scientist. Description – Film competition designed to expand knowledge through space exploration, drawing off past, present and future inspirations. Use NASA sourced imagery in original cinematic creations to bring art and science together. NASA challenge partner and sponsor, Houston Cinema Arts Society, will be primary host of the SpaceCom convention (there will be simultaneous venues worldwide). Finalists and winners will be announced by Houston Cinema Arts Society. Prizes: Grand Prize $10,000; 2nd Prize $5,000; 3rd Prize $3,000; Awards for special categories. If this challenge has great appeal for you, dear reader, but you simply do not have the time to get your submission ready, don’t be disheartened. This is an annual event. So, take your time and perfect your craft! For more information on this event log on to www.cinespace16.org. Examples of environmental measurements: clouds, soil moisture levels, rainfall, temperatures, weather systems, soil contaminants, lake levels, etc. Local observation data is submitted to the GLOBE data information system which is accessible online and available to the public. This program boasts over 10 million student participants from over 100 countries, participating since 1995. 2016 will be the first year the program will expand to include participation from all citizens. To join, log on to www.globe.gov. Despite the fact that climate change seems painfully obvious to the gringa, the reality is that there are many climate change deniers, resistors of necessary change, people who simply have no knowledge and folks who are apathetic and just don’t care. Anyone can contribute to NASA’s effort to strengthen public understanding of climate change. Participants of “I See Change Community Climate & Weather Journal” have very simple tasks for such an important mission. Citizens contribute to the “I See Change” weather journal with photographs and text messages. How simple is that? How many times throughout the day do you text a loved one or upload a photo from your smartphone to social media? Well, now those common actions can help change the world and save the Earth! And, for citizens with a science background, you can step up your participation level a notch. NASA also has a citizen science corps that shares spaced based experiences and observations of atmospheric carbon dioxide levels and how they vary seasonally and from year to year. To sign up visit www.iseechange.org. What The Heck Happened In 1480BC?! Ufologists and Ancient Alien theorists use as supporting evidence for their beliefs something called the “Tulli Papyrus”. They claim it is an ancient Egyptian record of a mass sighting of UFOs. Is the translation accurate? Is the artifact genuine? Authentic? True? Real? Well, dear reader, please join the gringa in the discovery of what we can determine to be true. The original document is alleged to be a record dating back to the era of the reign of Thutmose III which would be around 1480BC. The gringa is then curious as to what else was going on in the world around that time. I mean, if extra-terrestrials were so interested in Earthlings, would they have only buzzed the pyramids? Were there any other curious civilizations that may have been worth a peek? 1500BC-1400BC – The Rigveda, a Vedic Sanskrit religious poem or hym, is composed; Battle of the 10 Kings: Battle memorialized in the Rigveda; Mumum Pottery Period of Korea begins centered around an Asian culture noted for its simple pottery, elaborate burials and agriculture of millet, beans and rice. Ancient Egyptians were dedicated to keeping detailed written records. So what exactly did Thutmose III record on this “Tulli” papyrus? Where was this artifact found? What exactly was it? Who translated it? What does it mean? The gringa just has to know these things before I accept someone else telling me it’s a record of an ancient Egyptian pharaoh’s eyewitness account of UFO visitation. In 1933 a fellow by the name of Alberto Tulli visited Cairo. He worked for the Vatican Museum in the department of Egyptian antiquities. So, he was on the hunt for something interesting for the museum. He visited an antique shop, which was common practice in the old days when searching for antiquities. Tomb raiding was still going on so artifacts from ancient tombs would be sold to antique shops by the sticky-fingered burglars of all things old. Tulli found a document he wanted to buy but the price was too steep. So, he did the next best thing, he copied the text of the document. Yes, Tulli was a plagiarist. That’s one strike against him in the gringa’s book. The gringa says, “Uh oh. So, there is no original to compare the translation with. Mm hmm. Red flag of doubt number one raised quite high.” So, Tulli claims he copied down the original hieratic script which then would have been translated into hieroglyphics and then translated into the language of your choice. So, basically a third hand copy of a document of dubious existence. Many of the present translations in English, as well as other languages, are filled with gaps where it is obvious that content has been deleted and no explanation has been given. Twenty years later Italian Prince Boris de Rachewiltz claimed to be in possession of the original document. He said that he found it among papers belonging to the now deceased Tulli. He appointed renowned Egyptologist Etienne Drioton with the task of translating and transcribing the original document. Drioton was an expert Egyptologist on staff at the Cairo Museum as well as author of his own independent research and work, often being consulted by others worldwide on ancient Egyptian history and translation. “In the year 22, of the third month of winter, sixth hour of the day (big blank space)… among the scribes of the House of Life it was found that a strange Fiery Disk was coming in the sky. It had no head. The breath of its mouth emitted a foul odor. Its body was one rod in length and one rod in width. It had no voice. It came toward His Majesty’s house. Their hearts became confused through it, and they fell upon their bellies. They [went] to the king, to report it. His Majesty [ordered that] the scrolls [located] in the House of Life be consulted. His Majesty meditated on all these events which were now going on. After several days had passed, they became more numerous in the sky than ever. They shined in the sky more than the brightness of the sun, and extended to the limits of the four supports of heaven (big blank space)… Power was the position of the Fiery Disk. When the credibility of the Tulli papyrus was tested, investigation began by Gianfranco Nolli who was Inspector to Egyptian Vatican Museum. He reported that the Tulli Papyrus was not Vatican property and could offer no suggestion as to the original document’s location. Dr. Walter Ramberg, Scientific Attache with Rome’s U.S. Embassy responded that Tulli’s original copy was presumed to be among documents bequeathed to his brother, a priest, after his death. However, upon the death of Tulli’s brother, the document became lost as his belongings were eventually dispersed among family members. Well, the gringa will give ol’ Rachelwitz and Tulli the benefit of the doubt and just assume that, once upon a time, that papyrus in the antique shop was the real deal. But when the gringa reads the translation, I don’t see images of UFOs. I see images of a comet. “A strange Fiery Disk was coming in the sky…” A fireball is seen in the heavens approaching. It is described as a disk because, from the Egyptian’s vantage point, they could not tell that it was a sphere, only two dimensional, round and flat. “It had no head. The breath of its mouth emitted a foul odor. Its body was one rod in length and one rod in width…” It was circular, hence no “head”. It smelled bad. Astronomers and scientists have concluded that comets are smelly. With many containing things like ammonia, hydrogen sulphide, formaldehyde, and methanol, if Egypt experienced a massive comet fly-by very near Earth and raining down tail debris that broke away and entered Earth’s atmosphere to eventually shower the region, Egypt’s air probably smelled like a dead man’s fart. An ancient Egyptian “rod” measures, roughly, about 520 millimeters (or 20 inches). Um, not a very big and threatening UFO. Certainly the ancient Egyptians were squinting their eyes and holding a measuring rod up to the sky to measure the fireball in the background. “After several days had passed, they became more numerous in the sky than ever. They shined in the sky more than the brightness of the sun, and extended to the limits of the four supports of heaven (big blank space)… Power was the position of the Fiery Disks.” This astronomical event lasted for days which is common when a comet passes near enough Earth to be seen by the naked eye or a telescope. The comet or meteorites were numerous and could be seen during the day as they burned up in the atmosphere. They filled the sky and could be seen in every direction. The largest, or “mother” of the comet cluster was oriented in the East (position of power). “It was after the evening meal when the Disks ascended even higher in the sky to the south…” Within one day the orientation of the “mother” comet had traveled from the Eastern horizon to the Southern horizon, appearing higher (smaller) as it traveled further away. “Fish and other volatiles rained down from the sky…” The gringa suspects that some tail debris of the comet crashed into the Nile and/or Euprates and the impact blew fish up into the air and they rained down upon the Egyptians. So, the gringa does not think that, even if this record is authentic, that it is evidence of UFO visitation with ancient Egypt. What I believe is that there was a very close fly-by event of a comet or comet cluster. It came so close to Earth’s atmosphere that some of the debris in the tail section broke away, much of it burning up in Earth’s atmosphere. However, there were some bits that were incredibly large and at least one that impacted the Nile or Euphrates Rivers. The impact was so powerful that the splashback ejected fish into the air that rained down upon the area. And just like the raining down of Egyptian fish, the gringa is very sorry to be a UFO party pooper, raining on the dear reader’s parade of the ancient Egyptian/extra-terrestrial connection. However, to be fair, I am still digging through the “evidence” to see if at least one item could create an “AHA!” moment. Stay tuned. Posted on March 28, 2016 March 28, 2016 Categories Astronomy, cosmology, cosmos, Earth, Egypt, extra terrestrial, History, Homeschool, mystery, pyramid, River, Science, Space, Space Exploration, spacecraft, Uncategorized, UniverseTags alien, amun, amun-re, aryan, asia, cairo, comet, drioton, earth, earthling, Egypt, egyptian, egyptologist, euprates, European, extra terrestrial, fiery disc, fiery disk, fireball, hatsheput, India, Korea, levant, mediterranean, meteor, moses, mumum, museum, nile, nubia, palestine, papyrus, pyramid, rachewiltz, ramberg, religion, religious, rigveda, sanskrit, saros, syria, terrestrial, thutmose, thutmosis, tulli, ufo, ufologist, vatican, vedas, vedic5 Comments on What The Heck Happened In 1480BC?! Is there a way to stem the tide of sea level rise due to climate change? I mean, if we can’t build a seawall around the coast of every continent and island, what other option is there other than an eventual mass human migration inland? Well, NASA thinks there very well may be a solution. The Earth may be saving herself. Climate change researchers have been collecting data from NASA satellites to determine where all this extra liquid water from melted ice sheets and glaciers is ending up. It seems the Earth has absorbed over three trillion tons of water (that’s about the equivalent of what’s in Lake Huron) that are replenishing depleted lakes and underground aquifers. Now, this is great news but not a permanent fix. Researchers estimate this temporary band-aid will slow sea level rise by about twenty percent. Earth is buying us Earthlings some more time to get our you-know-what together and fix this mess we have created. So, how does this “band-aid” work? The Earth’s regular water budget is provided by annual amounts of water evaporated from the oceans. This becomes precipitation that returns to the Earth through rainfall or snow. It then recycles back into the oceans as runoff or through rivers. As mankind’s use of groundwater has dramatically increased, the Earth has become quite thirsty as reservoirs are depleted. It has become a sponge, compensating for this unprecedented loss by absorbing what is melting from ice sheets and glaciers. This has served to curb rising sea levels despite the fact that glaciers and ice sheets continue to melt. Now scientists are scrambling to recalculate future models and adjust previous projections of sea level rise as a result of the Earth’s warming oceans. So, although sea levels are still expected to rise, Earthlings have a little bit more time to solve the problems that will cause. But, once the Earth has slated her thirst, all that meltwater will then become a problem. As the twin satellites orbit the Earth, they measure the distance between themselves. Their measurements are so accurate and precise, they can get as close as a strand of human hair. Amazing! But, I digress. GRACE then transmits the data to Earthling researchers who use the information to measure any gravitational change in the Earth that is the result of any change Earth’s water distribution. By using this method, scientists have measured how much water has been stored within Earth’s continents as a result of ice sheet and glacier melt. This is the first study of its kind. And, according to NASA’s mission to use technology to safeguard the future of Earth and the lives of Earthlings, the agency has shared this knowledge with other scientific communities around the world. And GRACE is proving her mettle in other areas of climate change data as well. The satellites are tracking circulation and current patterns within the Atlantic Ocean. The typical current pattern of the Gulf Stream carries warm, tropical water northward to Greenland. By the time it arrives at its northern destination, the water has cooled significantly. Colder water is denser so the water that originated from the tropics, and was riding at the surface. has sunk as deep as two miles within the ocean by the time it gets to Greenland. The colder, heavier, bottom water is then dragged back South. In this way the waters of the Atlantic Ocean are consistently agitated, cooled, oxygenated and nutritionally refreshed. Oceanographers call this pattern the Atlantic Meridional Overturning Circulation (AMOC). However, the gringa prefers the common name, the “Conveyor Belt” of the Atlantic. The Atlantic’s “Conveyor Belt” effect is like an air conditioner for the world’s oceans. It is critical to modulating the temperature of the Earth. Data collected from GRACE has revealed that the “Conveyor Belt” is slowing down. Researchers are uncertain if this is directly caused by climate change or if other factors are at play. GRACE is going to help answer these questions. One way is by measuring gravity data from the bottom of the Atlantic Ocean. Changes in the ocean’s currents will result in pressure changes that GRACE can detect with gravitational measurements. And GRACE is also contributing to the development of practical solutions that can be implemented right now, helping the people of Brazil. 2015 was the worst year in over three decades for drought in Brazil. Hydrologists were able to use data collected from GRACE to calculate that in a three year period Brazil lost about fifteen trillion gallons of water each year. Water levels of aquifers and rivers were also analyzed. Brazil is heavily dependent on the country’s rivers to provide water for their people, electricity production and for critical agriculture. The data provided by GRACE enables the Brazilian government to create models that will simulate future expected droughts. This makes it possible for the nation to plan effectively, monitor their water resources responsibly and continue to provide for the water needs of over 200 million Brazilians. And those are just some of the facts about “Amazing GRACE”. Out on a sandbar exploring the river in la selva de Peru and we stumble upon this one lonely egg. That is most definitely the caveman’s hairy foot with the egg and not the gringa’s.